Rather than being Paul’s systematic theology, Romans “focuses on the formation of gentile identity in Christ” (p. 60) and how gentiles should imagine their identity in relation to Israel. 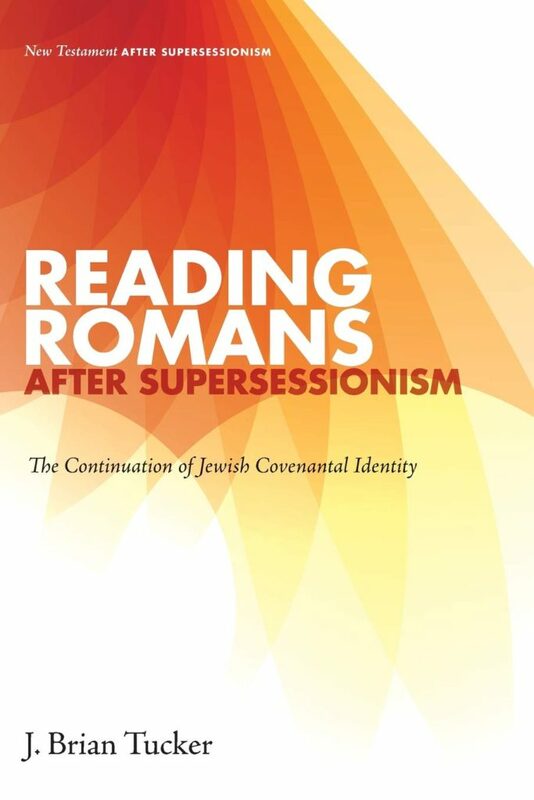 Tucker’s post-supersessionist interpretation of Romans maintains “the irrevocably of God’s covenant with the Jewish people and a continuing role for Torah as a demarcation of the Jewish people and their identity” (p. 1). In other words, this interpretation is careful to avoid interpretations where gentiles replace Jews, the church replaces Israel, or Christianity replaces Judaism. Besides the introduction and conclusion, Reading Romans After Supersessionism has 8 chapters that loosely follow the chapters of Romans. Chapter 2 argues that the gentiles in Rome were guilty of boasting over the Jews (rather than the other way around), and that Paul envisaged an enduring Jewish identity. Thus, in-Christ Jews and gentiles do not lose their social and vocational distinctiveness. Chapter 3 examines Romans 4 and the role of Abraham and the land promise, concluding that the church has not exclusively co-opted Abraham as their father to the exclusion of Israel. Rather, Abraham is father of Jews, in-Christ Jews, and in-Christ gentiles. Chapter 4 corrects the notion that Paul’s exclusive (or even primary) concern with the Torah was its role in soteriology. Rather, for Paul, the matter was more complex. The possession of the law included “significant epistemic advantages” (p. 90) and Torah-observance demarcated identity for in-Christ Jews. Chapter 5 argues that Jews who did not believe in Jesus still remained in covenant with their God. The incorporation of the believing gentiles into the people of God did not displace unbelieving Jews. Nor did gentiles abandon their identity as gentiles to be a “new Israel”. But what of Christ fulfilling the Torah? Chapter 6 deals with the thorny Romans 10:4-6, arguing that the “righteousness/law antithesis that is so crucial to traditional Paulinism has likely been overplayed” (p. 171). Rather, Torah-observance plays a role for Jewish righteousness even after the coming of Messiah. Chapter 7 defends the “eschatological miracle” view of Romans 11; that God will fulfill His covenant promises to Israel with a mass conversion of Jews and their restoration to the promised land at the return of Christ. Chapter 8 responds to interpretations of Romans 14-15 that has Paul undermining the Jewish observance of food laws. Rather, Paul is very Jewish in his advice. In fact, “all the claims in these verses can be understood within the diverse expression of late Second Temple Judaism” (p. 219). Chapter 9 finds support for a “doxological social identity for in-Christ Jews and gentiles as each group in their abiding difference embodies the Messiah’s welcome” (p. 221). That is, the enduring distinctiveness and unity of Jew and gentile Christ-followers is an important testimony to the Gospel that should not be lost. Tucker sums up his argument in the conclusion but also offers some provocative “practical application.” First, since Jewish covenantal identity continues, this should undermine Judaism’s role as a “foil” for gospel presentation, and support the existence of Messianic Judaism. Second, Paul’s contextualization of Torah should inform church practice in allowing Torah-observance for Jewish believers and a conscious posture of welcome to minority groups. Third, a post-supersessionist hermeneutic should be more widely adopted in scholarship. For a book that is arguing a minority perspective at every turn, Tucker must 1) clearly and persuasively represent his opponents, 2) tear down their arguments, and 3) establish up his own. In the first two, Tucker excels. That is, he faithfully evaluates popular scholars and competently critiques their views. However, I don’t believe that Tucker’s alternatives are always as clear and persuasive. At times, I found myself confused as to what exactly Tucker was trying to argue. Tucker’s goal often appears to be compexifying the issue so that the dominant viewpoint is overwhelmed by plausible alternatives. However, he sometimes does not leave this place of complexity with a clear way forward. Other times, his wording is simply vague when directness is needed. This can be contrasted with the volume on Ephesians and Colossians, in which Windsor regularly and repeatedly summarizes his arguments. All the same, the conclusions of each chapter were usually helpful in bringing the argumentation to a clear direction. Tucker’s Reading Romans after Supersessionism is a highly valuable contribution to Romans studies. It presents a strong and comprehensive “push-back” to the most popular interpretations of Romans and should be read by any pastor, student, or scholar as they work through the book. It also presents a compelling alternative reading of NT theology that continues to emerge in the rewarding New Testament After Supersessionism series. Many thanks to Wipf & Stock for providing a review copy. All purchases through this link (and ones above) give MDS a small kickback at no extra charge.